Nandamuri Kalyanram’s much-talked-about 15th film is a bag full of surprises. For the first time in his career, Kalyanram is trying out a classy romantic entertainer. The Nandamuri hero will be seen romancing the gorgeous Tamannaah in the movie. 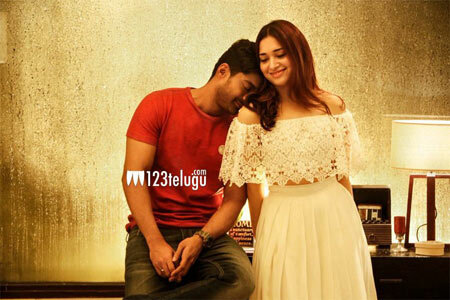 This evening, the makers of this as-yet-untitled movie unveiled the film’s first glimpse, a romantic still featuring Kalyanram and Tamannaah. The urbane vibe and Kalyanram and Tamannaah’s chemistry in the picture are quite impressive. Legendary cinematographer PC Sreeram being part of this movie has set a positive buzz since the film’s launch. Going by his repertoire, we can surely expect pleasing visuals from the master DP. Popular ad filmmaker Jayendra is directing the movie and Cool Breeze Cinemas banner is bankrolling it in East Coast Productions banner’s presentation.